Revealed today in European specification for the first time, the e-Niro has been designed to break down barriers to electric car ownership, offering long-distance driving range, more intelligent packaging, and greater practicality than many other electric vehicles. 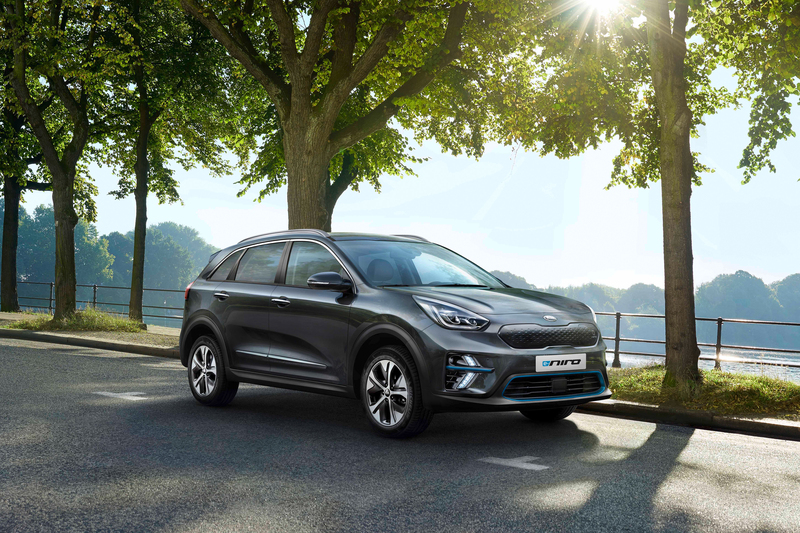 The all-new Kia e-Niro is the first fully electric crossover utility vehicle produced by Kia, providing a zero-emissions driving range of up to 485 kilometres (301 miles) on a single charge of its 64 kWh long-range battery pack. The long-range battery is also capable of travelling up to 615 kilometres (382 miles) in the city – further than many gasoline vehicles. The e-Niro is also available with a 39.2 kWh battery, which offers a driving range of up to 312 kilometres (193 miles) on a single charge. 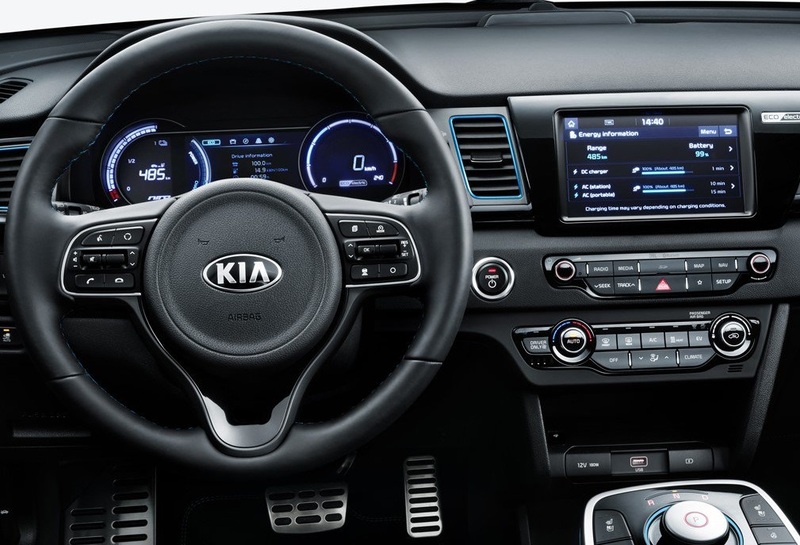 Inside the Kia e-Niro, the cabin combines a modern design with generous space and technologies that complement its zero-emissions powertrain. Buyers will also benefit from a range of dedicated electric vehicle in-car technologies to maximise range and efficiency, as well as new safety features, and differentiated exterior and interior design. The new Kia e-Niro is manufactured at Kia’s Hwasung manufacturing facility in Korea. 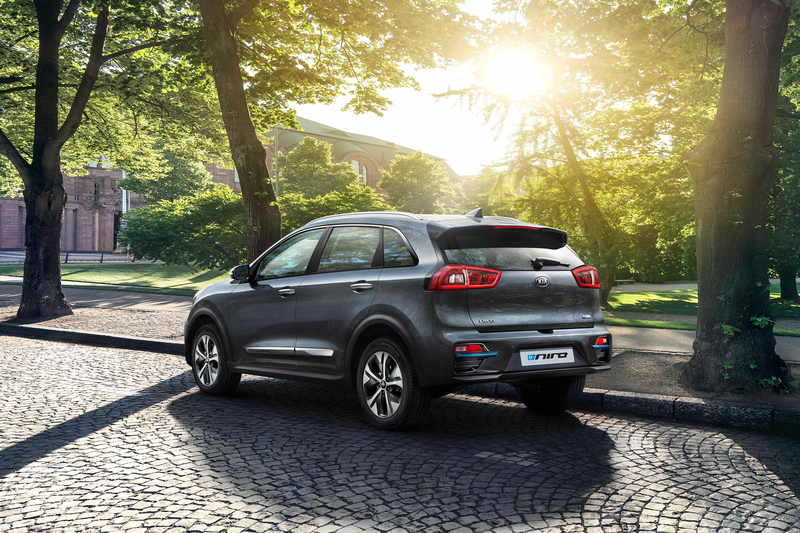 On sale in select European markets by the end of 2018, the e-Niro will be covered by Kia’s industry-leading 7-Year, 150,000-kilometre warranty as standard. The warranty also covers the battery pack and electric motor.